Home 41st president George H.W. Bush James Baker Kennebunkport news politics President Secretary of State trump world news James Baker: Bush’s Last Day Was "Gentle And Peaceful"
James Baker: Bush’s Last Day Was "Gentle And Peaceful"
Former Secretary of State James Baker said the death of his friend, former President George H.W. Bush, described his last day as "gentle and peaceful," saying Bush maintained his spirit and sense of humor until his passing. Bush, who managed the country during the end of the Cold War as America's 41st president, died on Friday at the age of 94. Former Secretary of State James Baker, who was with Bush during his last minutes, considered Friday a "sweet day." 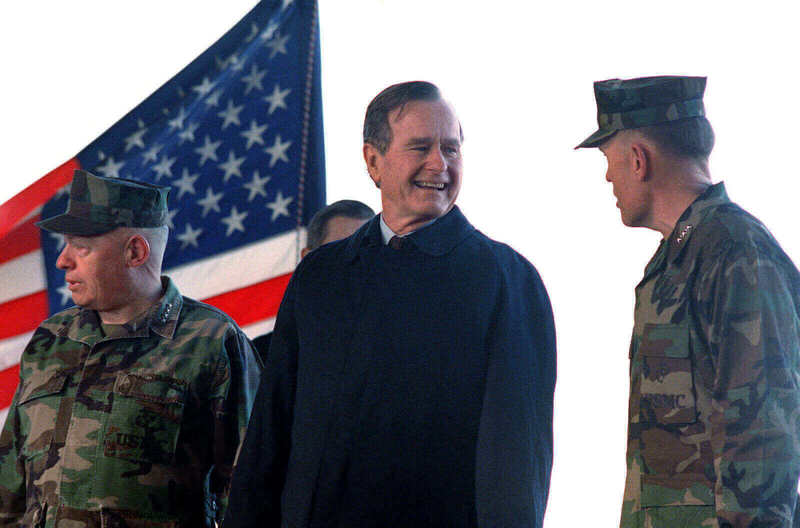 He said Bush's health started to "go downhill" after he came back to Houston after spending the summer at his home in Kennebunkport, Maine, and hadn't eaten for three days when Baker visited Friday morning, hours before the death of the 41st president. The former secretary of state said Bush was experiencing a type of Parkinson's disease that led to fluid building up in his lungs. "He had a very gentle and peaceful passing," Baker said on "Fox News Sunday." "It was a sweet situation," Baker said, adding that arrangements had been made for all of his children to call to say goodbye. "He will be well remembered by history, and well treated by history." "I think that, no doubt, he will be remembered as our most-successful one-term president and, perhaps, one of the most successful presidents of all time," Baker said. Bush held a variety of positions at the top of government even before winning the administration in 1988. He put in eight years as President Ronald Reagan's VP, previously leading the CIA and the Republican National Committee. He likewise served a stint in the House of Representatives, representing his adopted home of Texas, and in addition America's represetative to the United Nations and China. President Trump declared a national day of mourning for the former president on Wednesday when a ceremony will be held for him in the National Cathedral in Washington.